Airship 27 Productions announces the release of their latest title featuring a beloved action adventure protagonist. H. Rider Haggard’s classic hero, Alan Quatermain, returns in three brand new adventures all set on the Dark Continent. 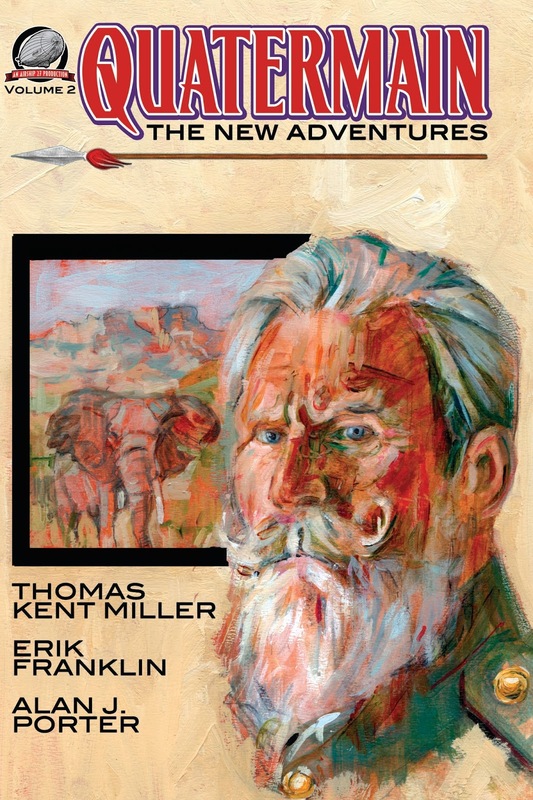 Thomas Kent Miller’s novella has the big-game hunter traveling to Ethiopia to search for the fabled Library of Alexandria. Erik Franlin pits him against an ancient cult of assassins while Alan J. Porter has the skilled tracker stuck in the middle of the Boer War trying to find the source of a diamond smuggling operation. Now it is time to enjoy three fast paced, original tales that capture the mystery and adventure of a wild, untamed land and the man who loved it above all else. Journey with him and embrace the magic that was and remains Africa. Available now at Amazon and soon on Kindle. 1930s Shanghai was a place of excitement and intrigue... and magic. It is an international hotspot where foreign agents from around the world ply their trade. Brought to Shanghai to investigate a powerful new aircraft engine, young Conall McLeod becomes embroiled in a high-stakes game between gangs, spies and immortal beings. 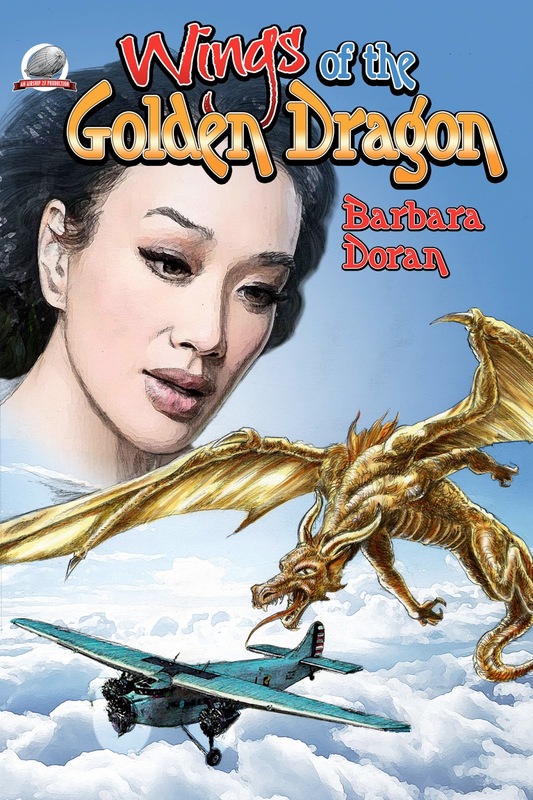 Together with his beloved Mudan Chang and hot-shot Chinese pilot, Feng Zhanchi, Conall must navigate the dangerous waters of the city's criminal undercurrents and help free a lost immortal from the clutches of evil. Writer Barbara Doran spins a fantastic tale of action and mystery filled with some of the most memorable characters ever conceived. Artist Gary Kato returns to offer up nine interior illustrations and Art Director Rob Davis provides the cover to this fast paced fantasy thriller. 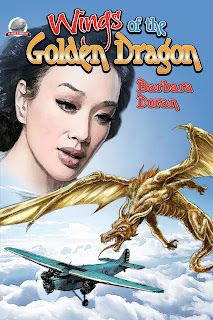 Whether deep within the cities maze of dark alleys or high atop an ancient castle of evil, no one will be able to escape from The Wings of the Golden Dragon! The year 1885 finds Doctor John H. Watson down on his luck. His prospects look bleak until a chance encounter leads him to a meeting with another literary-minded young physician named Arthur Conan Doyle. Together, they hatch a plan for a series of works based on the adventures of Watson’s roommate, the Consulting Detective Mr. Sherlock Holmes. Then a very attractive young lady, Mary Morstan, arrives at 221 B Baker street seeking help. 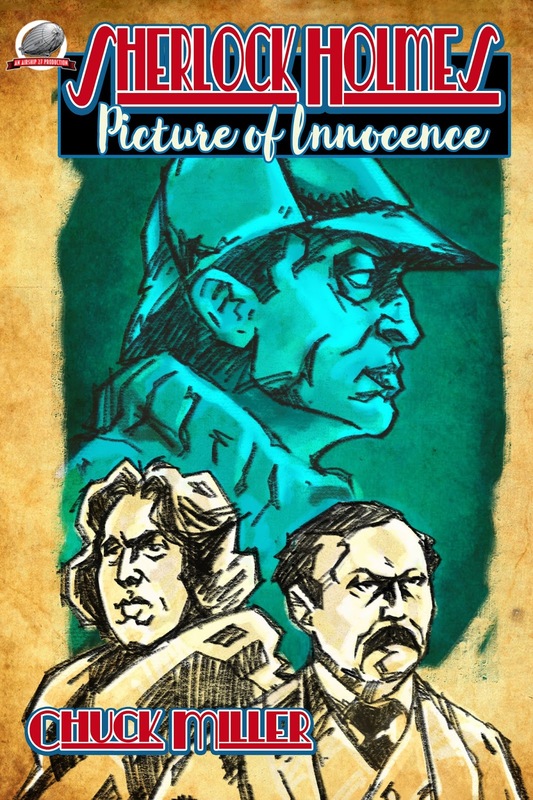 Soon Holmes and Watson are drawn into the dark world of the Sholto brothers, a web of blackmail and murder. Even with the assistance of a rising playwright named Oscar Wilde, Holmes finds himself taxed to the limit of his powers when his own darkest secrets are exposed. What truths lie beneath the surface of the Picture of Innoncence? Airship 27 Art Director Rob Davis provides the black and white interior illustrations and Mal Earl delivers his own special styling for the cover. 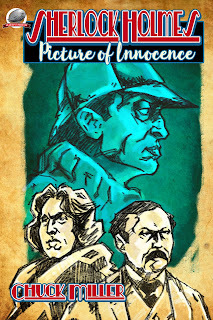 “Picture of Innocence” is a book for all devoted Holmes and Watson fans; young and old alike. Available at Amazon and soon on Kindle.